Julian Casablancas‘ other band, The Voidz, have a new album, Virtue, coming out at the end of the month and they recently shared “All Wordz are Made Up” which is a pretty fun ’80s-style electro-funk new wave jam. You can watch the video, which also looks like it could’ve been made in 1987, below. 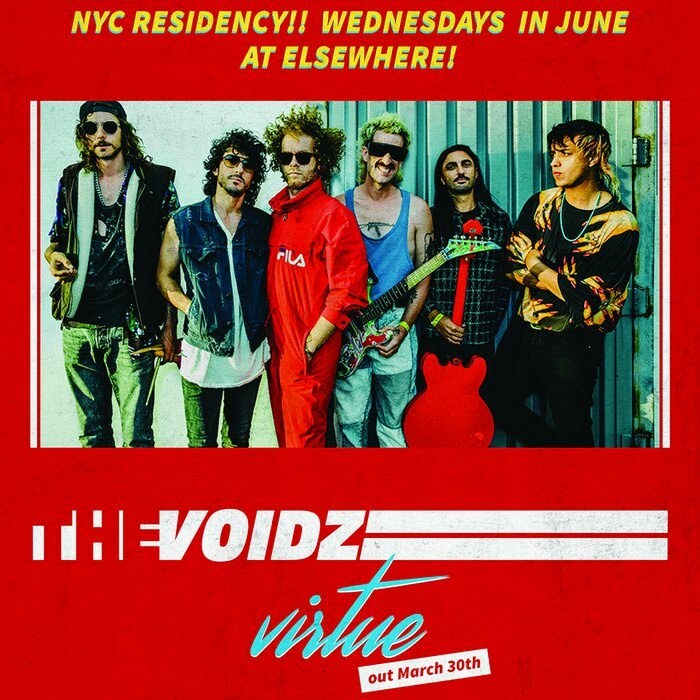 The Voidz have also just announced a NYC residency which happens at Elsewhere Hall every Wednesday in June. (Specifically: June 6, 13, 20 & 27.) Tickets for those four Elsewhere shows go on sale Monday, March 12 at noon. Meanwhile, The Voidz also have L.A. record release shows at The Masonic Lodge at Hollywood Forever Cemetery on March 28 & 29 and tickets go on sale today (3/9) at 10 AM Pacific. Julian and the band have a few other shows, mostly festivals like Shaky Knees, lined up for this year. All dates are listed below.